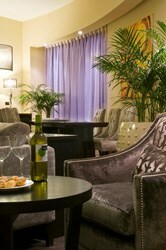 Guests at the Radison Blu Hotel Addis Ababa have a choice of 204 stylish guest rooms and 16 spacious suites. While the legal status and ownership structure of Carlson and Rezidor remain the same, the Carlson Rezidor Hotel Group will pursue the global alignment and management of its brands, the ambitious development of its revenue generation engines, global purchasing opportunities, and people development, on a global basis. Commercial activities will be conducted under the Carlson Rezidor Hotel Group name, irrespective of geographies. "Carlson and Rezidor have a long common history and have grown together over the past 17 years," said Hubert Joly, president & CEO, Carlson. "Going to market as one is a next and natural step. We are leveraging the strengths of two great companies to create value for all our stakeholders." "The goal of this development is to generate more attractive financial returns for the owners and greater value for all shareholders, to be perceived by business partners around the world as one global hotel company, to offer more compelling and consistent value propositions to the guests, and to offer global career and development opportunities to the staff," said Kurt Ritter, president & CEO of Rezidor. The brand-new Radisson Blu Hotel Addis Ababa, which opened in early January 2012. The Carlson Rezidor Hotel Group is one of the world's largest and most dynamic hotel groups, with a portfolio of more than 1300 hotels, a global footprint covering 80 countries, and a powerful set of global brands (including Radisson Blu; Radisson; Country Inns & Suites By Carlson, Park Inn by Radisson; Hotel Missoni; and Park Plaza). Through a number of concrete revenue-generation initiatives, the Carlson Rezidor Hotel Group aims to generate more than US$400m in additional revenue and a RevPAR Index increase of more than 9 points by 2015. These initiatives include a reinforced global sales team; unique revenue optimisation tools, partnership projects with travel intermediaries, including Carlson Wagonlit Travel; and the rapid growth of Club Carlson, the group's successful loyalty program. The group will pursue the global alignment and management of its brands to ensure that its guests enjoy a compelling and consistent value proposition around the world. Joint purchasing activities entail the development of competitive sourcing agreements, especially for high-spend and business-critical categories. Global people development programs also will help the Carlson Rezidor Hotel Group fulfil its ambition to be the number one hospitality employer. The chosen logo of the Carlson Rezidor Hotel Group symbolises several key elements: the combination of the Carlson name and the Rezidor name highlights the nature of the relationship, i.e., that of a partnership; and the Carlson symbol on top of the logo represents important values such as relationships, heritage, innovation and service. The group's new website, www.carlsonrezidor.com, launches today, 1 February 2012. The brand-new Radisson Blu Hotel Addis Ababa, which opened in early January 2012, is situated in the heart of the Ethiopian capital, at the entrance to the Main Conference Centre for Africa, the United Nations Conference Centre (UNCC-AAUN). Ultra-modern in design, this property promises guests an enchanting stay in any one of 204 stylish guest rooms and 16 spacious suites, making it an obvious choice for discerning guests. 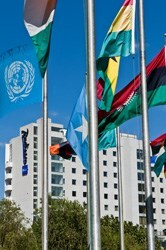 "The hotel is perfectly located in the exclusive Kazanchis business and diplomatic centre of Addis Ababa, in close proximity and strategically located to the city's commercial districts, the UNECA headquarters, the United Nations Conference Centre and the AU headquarters, as well as to most business establishments and NGOs," comments Andrew McLachlan, Rezidor's vice president of Business Development for Africa and the Indian Ocean Islands. "Addis Ababa is often called the 'African capital' due to its diplomatic, political and historical importance for the continent, so we are very happy to have our Radisson Blu flag flying in this city in Africa," he adds. Rezidor has also signed a new Hotel Missoni resort deal for Mauritius, making this island - the shooting star of the Indian Ocean - the 66th country where Rezidor has a presence. Overlooking the village of Baie du Cap, Hotel Missoni Mauritius will boast 80 luxury suites with unobstructed views of the ocean and the island's unrivalled beaches. It is scheduled to welcome its first guests in 2014. "Hotel Missoni Mauritius will surely be a great success, as it is the first 'lifestyle brand' to enter the Mauritius market," says McLachlan. "Combining Missoni's iconic fashion design with the local culture influenced by Europe, Africa and Asia, the Hotel Missoni Mauritius will be a truly unique experience." Food and beverage outlets will include Hotel Missoni's signature restaurant Cucina, with an authentic seasonal Italian menu; Choco Café, an intensely flavoured sip of classic Italian café society; and a further all-day dining restaurant, a lounge bar and a beach/pool bar. Leisure facilities will comprise direct access to a 650m-long sandy beach, outdoor pools, a fitness area including gym and tennis court, a kids' club and a 900m² spa. Sunbathing, water sports, deep-sea fishing, hiking, cycling and golf are just some of the leisure options also available in the vicinity. Business travellers will benefit from 235m² of dividable meeting space, boasting the latest AV technology. "Building on our success over the past five years in Africa, where we have grown our African portfolio from eight hotels in five countries to 44 hotels in 17 countries, we are taking our development plans to new heights in 2012," comments McLachlan. "We have increased our development team in Cape Town to six professionals so we are able to speed up and support the growth strategy in the future." The Carlson Rezidor Hotel Group - born in early 2012 - is one of the world's largest and most dynamic hotel groups. The portfolio of the Carlson Rezidor Hotel Group includes more than 1,300 hotels, a global footprint spanning 80 countries, a powerful set of global brands (Radisson Blu, Radisson, Country Inns & Suites By Carlson, Park Inn by Radisson, Hotel Missoni and Park Plaza). In most of the group's hotels, guests can benefit from the loyalty program Club Carlson, one of the most rewarding loyalty programs in the world. The Carlson Rezidor Hotel Group and its brands employ more than 80 000 people. For more information go to http://www.carlson.com and http://www.rezidor.com. I have been working as graphic designer in Minneapolis, MN. As I may know, the Carlson Rezidor Hotel Group has lots of differing department -- great for exposure to different types of jobs instead of isolation within a particular sector, such as restaurants or cleaning services.